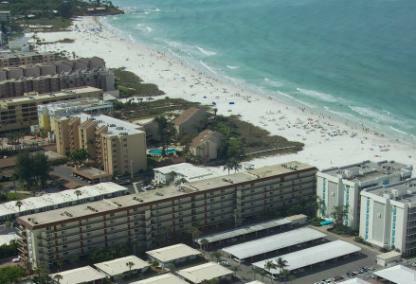 The El Presidente condominium is ideally located on the gorgeous quartz-infused sands of the world famous Siesta Key Beach. 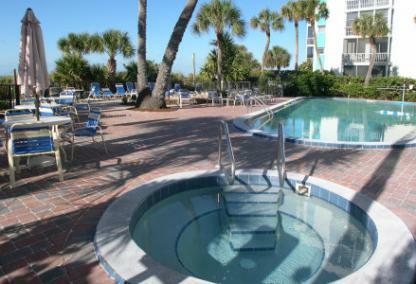 It is a tropical sanctuary and a true beachfront gem as well as an excellent investment opportunity. With only 47 meticulously crafted units on the property and direct exterior entry to each unit, residents enjoy the secluded and serene atmosphere absent of all the hustle and bustle of a larger resort. Many of the residences provide stunning views from private balconies overlooking the fabulous white sand beach and Gulf of Mexico. Towering palms accentuate the pool and cobblestoned paths lead the way to the powdery white sands of the private Crescent Beach. Choose from one of the spacious two-bedroom or four-bedroom floor plans ranging from 1,054 – 3,569 square feet of living space. Each unit extends across the entire width of the building and is complete with a private southward facing balcony and covered parking below. With only thirty-eight units, the smaller size of the property lends itself to creating the relaxed and intimate atmosphere of a true seaside retreat. Residents enjoy the convenience of having a grocery, darling boutiques, and an array of exceptional dining options all within walking distance. El Presidente's proximity to the South bridge affords residents and guests easy access to the mainland's restaurants, shopping, music, golf, and a multitude of fun activities and popular tourist attractions. The property's prime location on Siesta Key makes it easy for residents and guests to enjoy all of the lovely attributes of the surrounding area such as the world-renowned Siesta Key Beach, Siesta Key Village, Point of Rocks Beach, Longboat Key, Mote Marine Laboratory, Marie Selby Botanical Gardens, St. Armand's Circle, Longboat Key, the Hillview Area, and always popular Downtown Sarasota. El Presidente possesses significant potential for generating rental income. 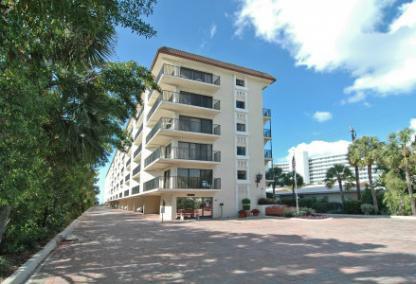 With the abundance of amenities, ambiance of the well manicured grounds and desirable Siesta Key location, it is no wonder why El Presidente is a popular choice for investors. Please inquire for more information on community guidelines for residents and guests.